Ivan Penehe is a professional rugby player who played for the New Zealand Warriors team in the National Rugby League competition played in Australia till the end of 2012 season. Before joining the New Zealand Warriors team in the year 2012, he had little experience of professional rugby at the competitive level. 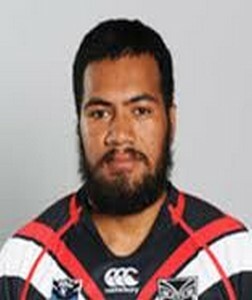 Born on 24th May 1990, he did not get an extension contract by the New Zealand Warriors team after his contract terminated at the end of 2012 season. The 183 cm tall player prefers to play in the wings in his teams formation on the field. He can also play in the centre line based on his teams needs for the match. Weighing 98 kilo grams, he was never a regular starter with the New Zealand warrior team all through the 2012 season. This entry was posted in NRL and tagged Ivan Penehe, New Zealand Warriors. Bookmark the permalink.